SIMstarter NG is compatible with PREPAR3D v4.4! Version 1.8.5 (or higher) of my software SIMstarter NG is compatible with P3Dv4.4. Just run SIMstarter NG and the AutoUpdate function updates to the new version. ich will mich am Freitag, den 12.10.2018 ab 20.30 Uhr (CEST) an meinen ersten Livestream wagen und den SIMstarter NG vorstellen. Geeignet ist der Livestream für alle, die den SIMstarter NG bereits nutzen und der Meinung sind, erst 10% entdeckt zu haben und für alle, die ihn noch nicht nutzen. I will perform my first Livestream introducing SIMstarter NG at 12th of october – 8.30pm (CEST). It will be in german but I am planning to do it in english later on (can’t say when). In general it will be possible to participate and ask in english (via Chat) – I will do the best I can to cover that. SIMstarter NG v1.6.3 – out now! Includes changes and fixes. AutoUpdate of Aircraft list can be disabled in settings now. SIMstarter NG v1.6.2 – out now! You can download version 1.6 on your shop. After install it will be AutoUpdated to version 1.6.2. SIMstarter NG v1.5.2 out now! SIMstarter NG Version 1.5.1 out now! [CHANGED] FSUIPC - Using FSUIPCclient 32/64 bit. Therefore SIMstarter NG is a 64 bit application from now. 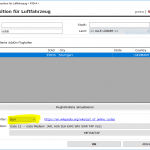 [BUGFIX] ActiveSky - (P3Dv4) SIMstarter NG is showing ActiveSky XML error. 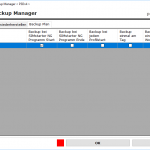 SIMstarter NG 1.4.4 – out now! Some important features but bugfixes as well. Some FSUIPC settings can be done via the Simulator ConfigurationSet and the Simulator ConfigurationSets can be exported to one HTML file – very useful. The new version 1.4.4 is availible by AutoUpdate now. Just start SIMstarter NG and the update dialog comes up. To get this version you must have installed version >=1.4.0. If not, please download the latest version from your download shop of your purchase. Einige neue Features aber auch wichtige Bugfixes bringt die neue Version. 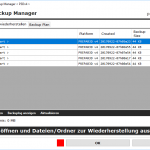 Einige FSUIPC können nun mittels Simulator KonfigurationsSet gemacht werden und Simulator ConfigurationSets in eine HTML Datei exportiert werden, was sehr nützlich ist um Konfigurationen mit einander zu vergleichen oder ein Sicht-Backup zu haben. SIMstarter NG v1.4.3 – out now! Just a small X-Mas „gift“ from my side. The new version 1.4.1 is availible now. Just start SIMstarter NG and the update dialog comes up. 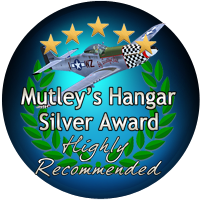 Mutley’s Hangar Silver Award for SIMstarter NG! Thanks to Jessica Bannister – Pearce and the entire crew of mutleyshangar.com for the great review of SIMstarter NG . Very good summary of NG – love it! and a Mutley’s Hangar Silver Award.